Round Robin: requires static link aggregation at the switch, layer 3, alternate between links for outbound traffic only. 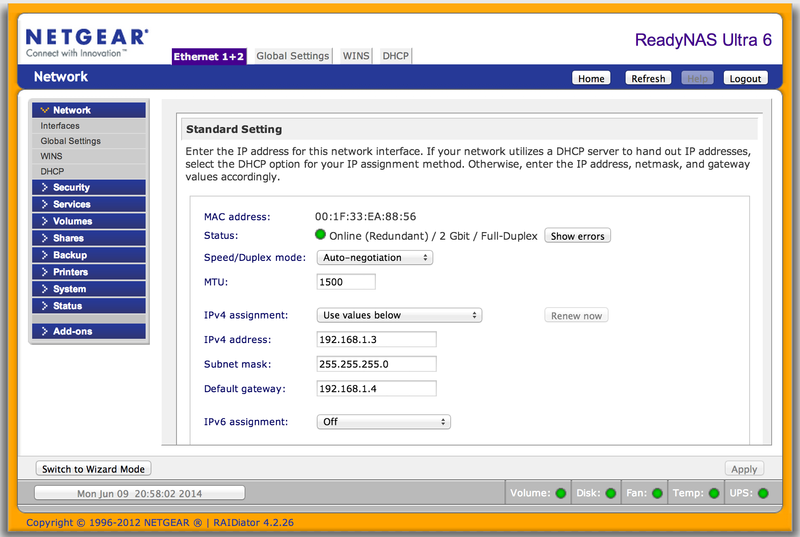 Broadcast: no switch configuration requirement, channel mirroring, transmits every request over both links. Useful only in pretty specific scenarios where the two interfaces are connected to disconnected switches yet packets are needed on both segments. 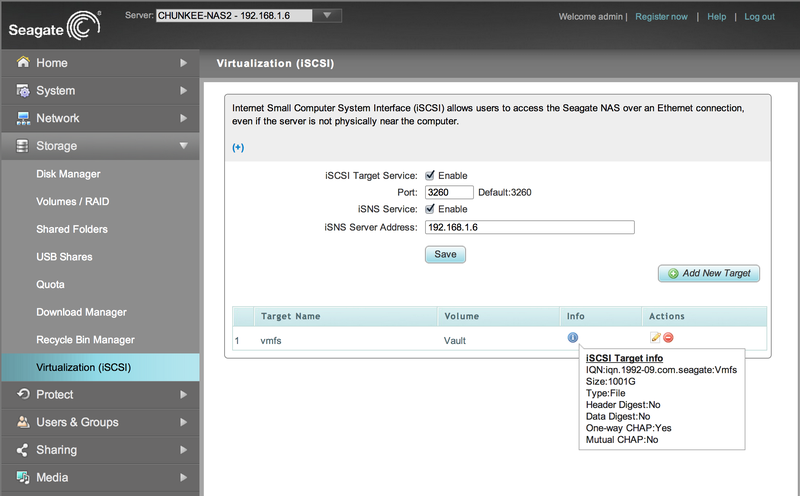 Transmit Load Balancing: no switch configuration requirement, balances outbound traffic based on the load on the NIC. Inbound traffic is handled in an active backup fashion. Adaptive Load Balancing: no switch configuration requirement, builds on TLB by providing inbound load balancing by alternating ARP replies on the fly. With the recent addition of the Dell T620 to the lab, I have more eggs in the basket of the main server (10TB worth of eggs actually – entry on vSphere Data Protection coming soon! ), but the sizable chunk of data on the NAS is even more critical (5TB and 10 years worth of photos, documents, archives and backups). 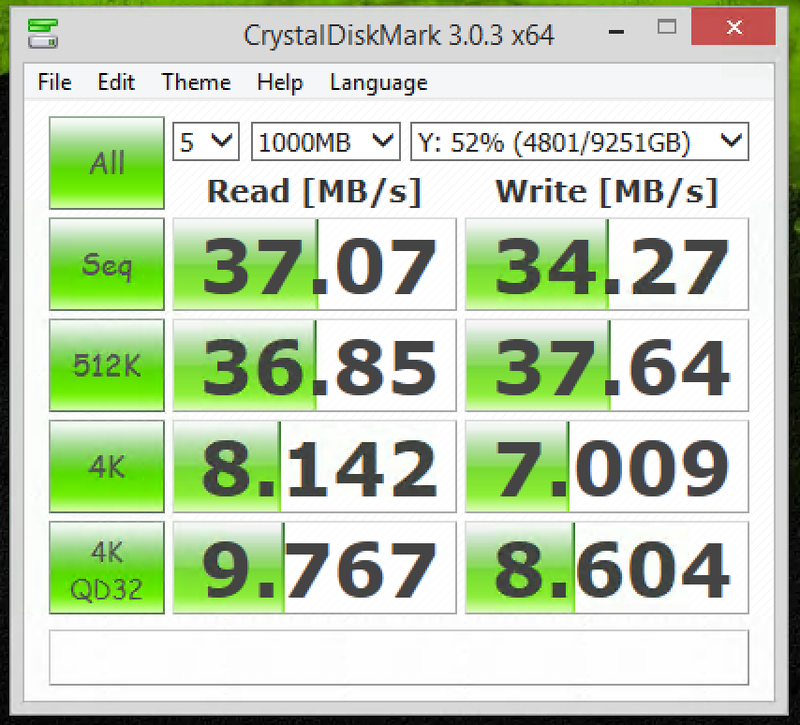 Traditionally I’ve relied on X-RAID to provide peace of mind and have copied off the most critical of critical files to a USB drive periodically for offsite protection. Recently though, in an unfortunately recurring theme, the threat environment has ratcheted up once again. The situation in Australia is a harsh reminder that “ransomware”, like CryptoLocker, is quickly become the most significant threat to our data. Once a system is compromised, any write accessible storage volume (including file system mounted cloud volumes) will end up irreversibly encrypted; it’s files permanently destroyed for all intents and purposes. It wasn’t long ago that some knowledge, common sense and good habits were enough to dodge the vast majority of attack vectors. Phishing attacks, and even spear phishing, can generally be avoided by being well informed and conscientious user. The proliferation of smarter and smarter web content (generally a good thing) and near ubiquitous (and increasingly sophisticated) ad serving technologies (a questionable thing) is combing to create a new kind of attack vector that, in the worst case, can be nearly impossible to dodge. A malicious ad server run by even a moderately sophisticated attacker can do a massive amount of damage if it can seize on a 0 day exploit in a browser. Even with reasonable day-to-day security settings on your account and browser, surfing to the wrong site, with the wrong version, on the wrong day can leave you exposed to a ransom attack. Of course security and convenience is a tricky balancing act and there are definitely measures one can take to greatly reduce risk exposure. Never running day-to-day as a local admin, not leaving network or cloud volumes permanently mounted with write access, and operating browsers in their strictest sandbox modes can go a long way. Realistically though, these measures taken in total can make day to day work more difficult and each step back introduces a bit more risk exposure. Ultimately, the last line of defense against these destructive encryption attacks is a really solid backup strategy. 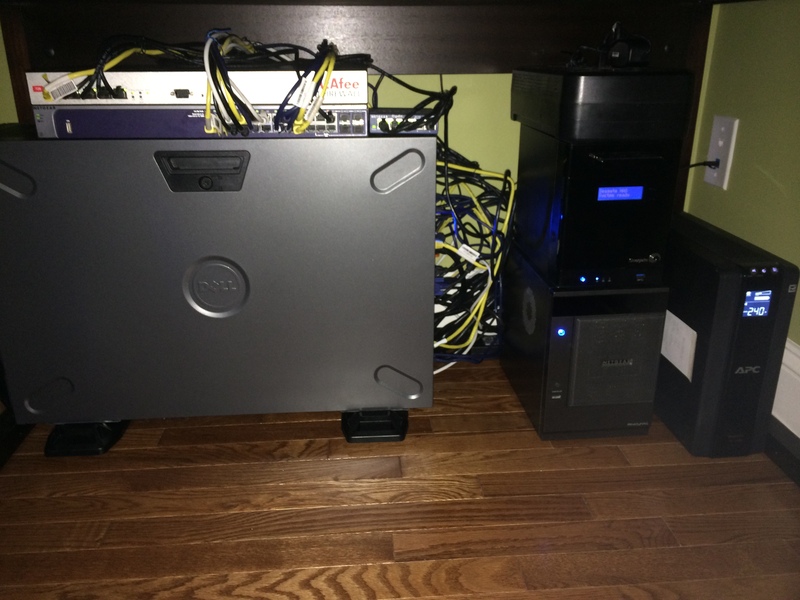 It’s a 2 tier NAS stack capped by a Back UPS 750! And yes, that IS a Back UPS 1500 you see there. We’ll talk about that addition in a future entry! Wow! What the heck is going on here? 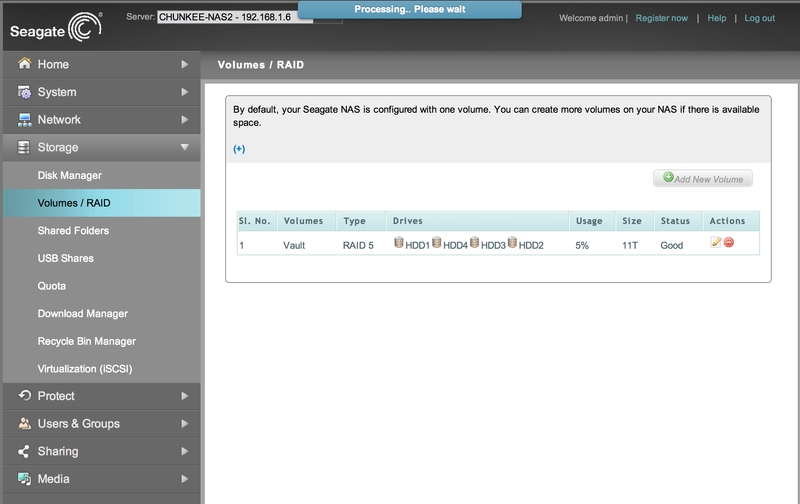 Unknown at this point, but clearly the ReadyNAS is the better performer. Thats fine since we are using the Seagate purely as a backup device and iSCSI testing platform for VMware, but at some point I definitely need to track down the root cause of these performance issues! 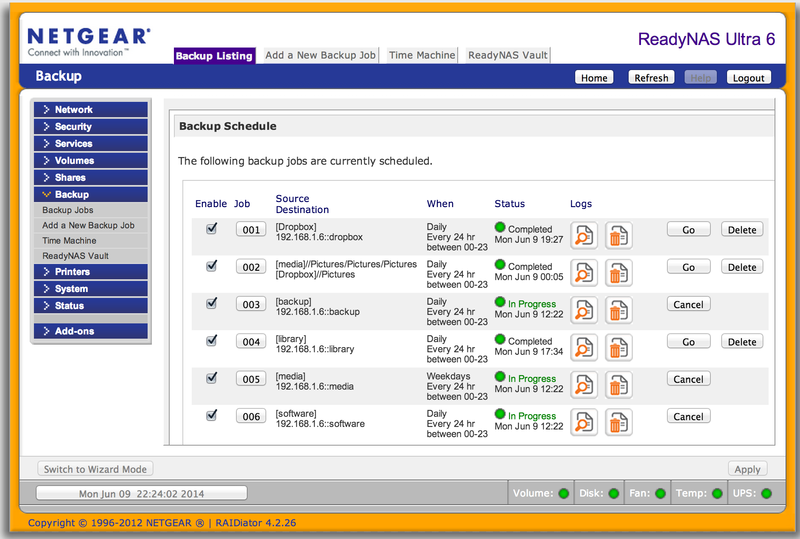 With initial setup and testing complete, it was time to setup the backup. This process was interesting and not entirely intuitive. As it turns out, the RSync capability of the Seagate is buried in the “Protect Server” feature. Authentication Name: this is the account that your rsync source will need to authenticate as. A bit counter intuitive as this account will not show up under users nor can you ACL it. It seems there is a separate security model (including a dedicated path that you normally can’t see) associated with the “Protect” capability. Authentication Password: this is the password for the associated credentials. Note that the password is presented in the UI in clear text (and presumably stored that way) Yikes! Keep this guy safely tucked behind a firewall. 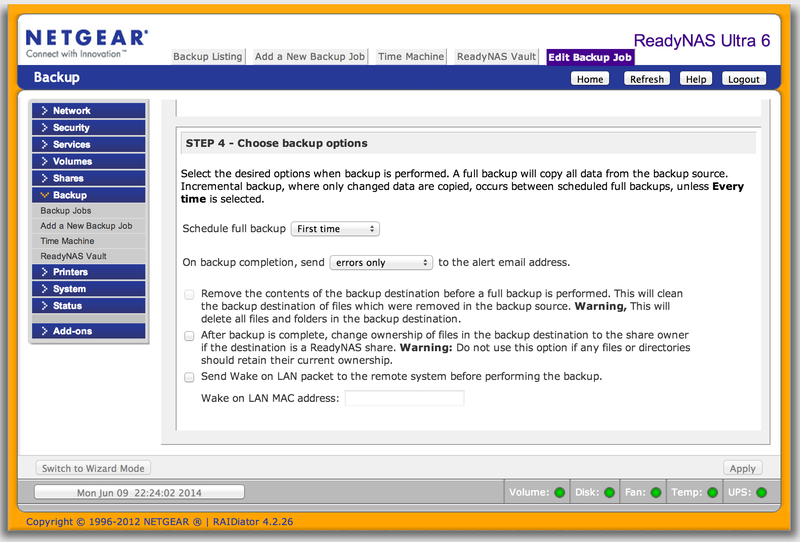 Enable/Disable Backup Service: as indicated. Also worth noting that disabling the backup service will also delete the folder structure (including files), so be careful here. 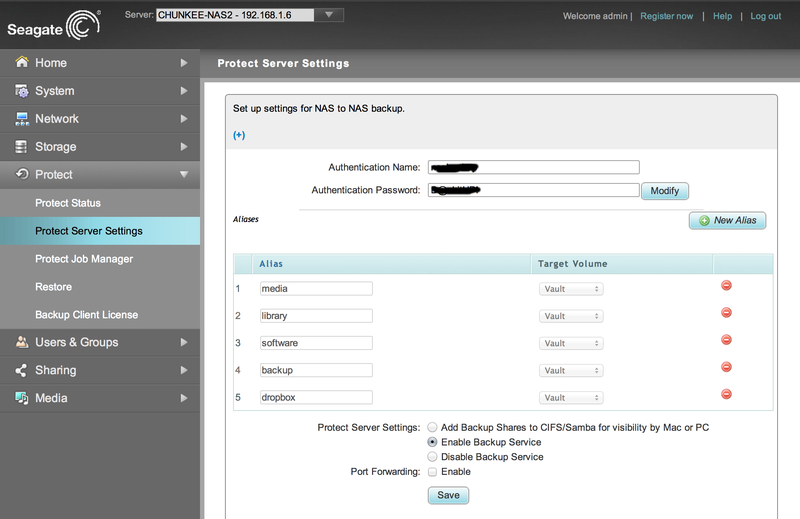 Add Backup Shares to CIFS/SMB: this option will expose the BackupStore-1 folder under the default share for the volume. 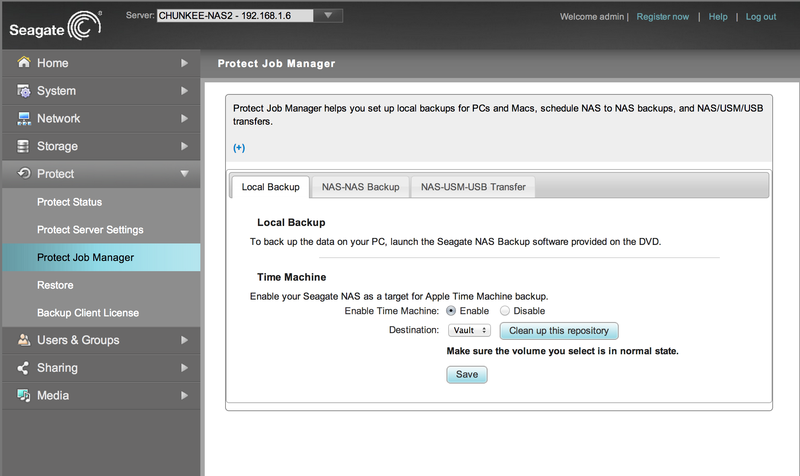 Note that when this option is enabled, the backup target will be disabled. 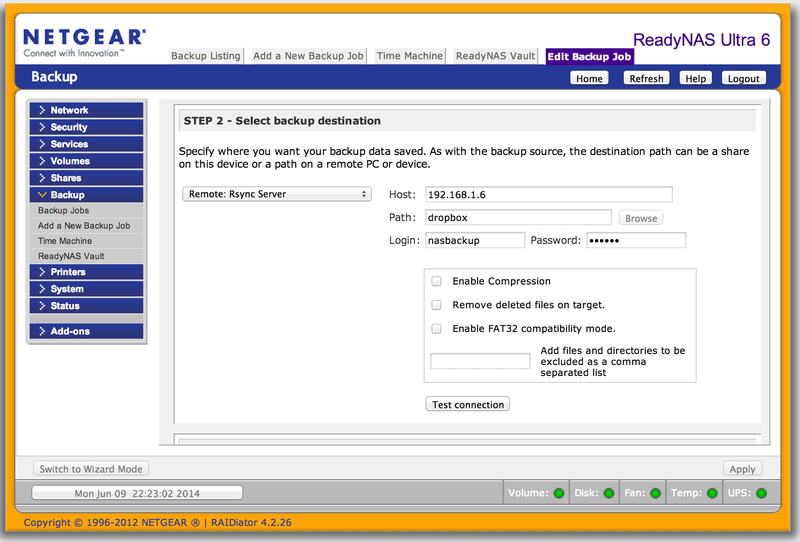 This is interesting since, as far as I can tell, there is no way to get write access to the backup path via the share. Accessing it as admin won’t work (writes are denied) and you cannot access a share with the backup job credentials. Not sure why rsync availability vs CIFS presentation is an either/or proposition given this, but its workable. 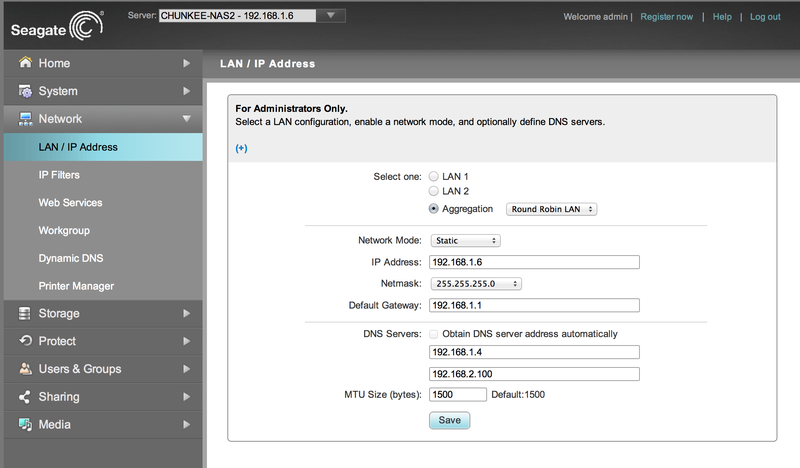 Port Forwarding: enabled UPNP support for RSync if you want to run through a firewall. 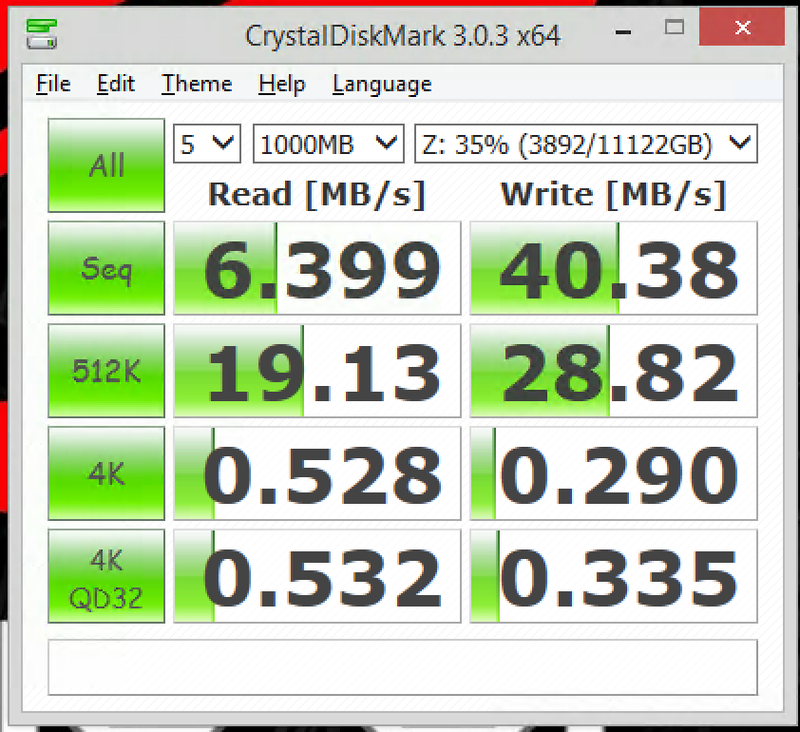 So how long did it take to rsync 4TB at these horrible speeds? [drumroll] 96 hours! Yikes! Now thats terrible. Luckily though the full backup only occurs once and the rate of change of this data is tiny, so the differentials should (hopefully!) 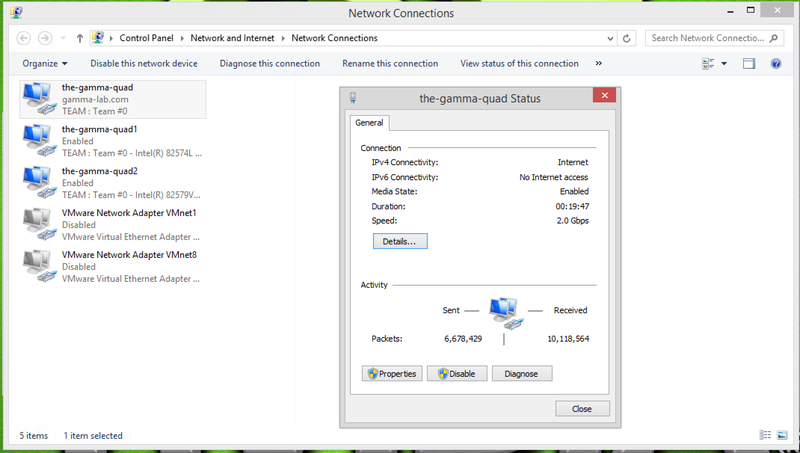 complete within their daily backup window. Off to troubleshoot the network performance!